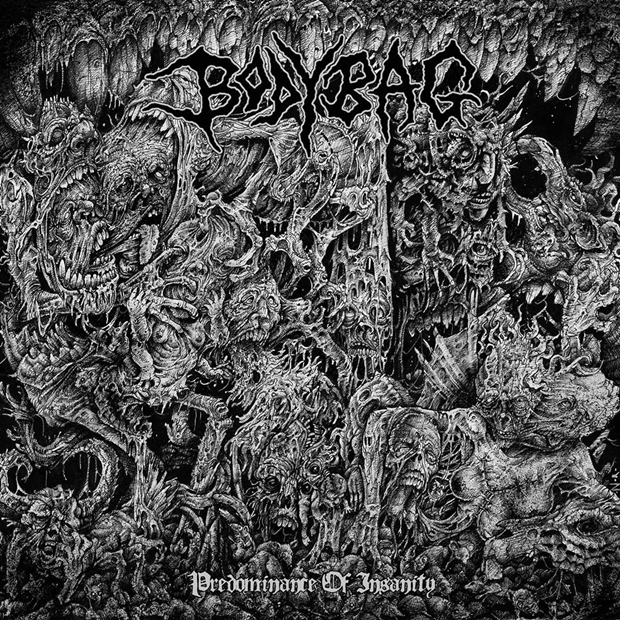 The CD version of BODYBAG‘s debut mini-album called “Predominance Of Insanity“ is now available and ready to be shipped worldwide!! BODYBAG was born on summer 2014. Just some weeks after MACHETAZO demise, Dopi (who was drums / vocals for the band during 20 years) joined Corey (BOKLUK drummer) on bass / vocals and M.S. (ARKAIK EXKRUCIATION guitarist) on guitar. The sick chemistry between them was immediate, and the songs started to flow like rotten corpses emerging from a flooded crypt. 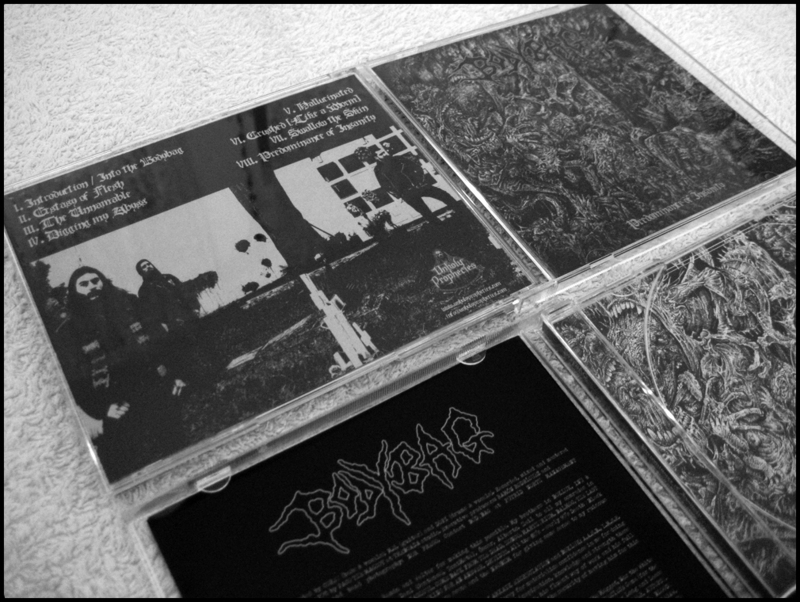 On December 13th BODYBAG recorded the eight songs for “Predominance Of Insanity” at Treboada Studio. The CD was pressed on a limited edition of just 500 copies. Standard jewelcase with transparent tray. 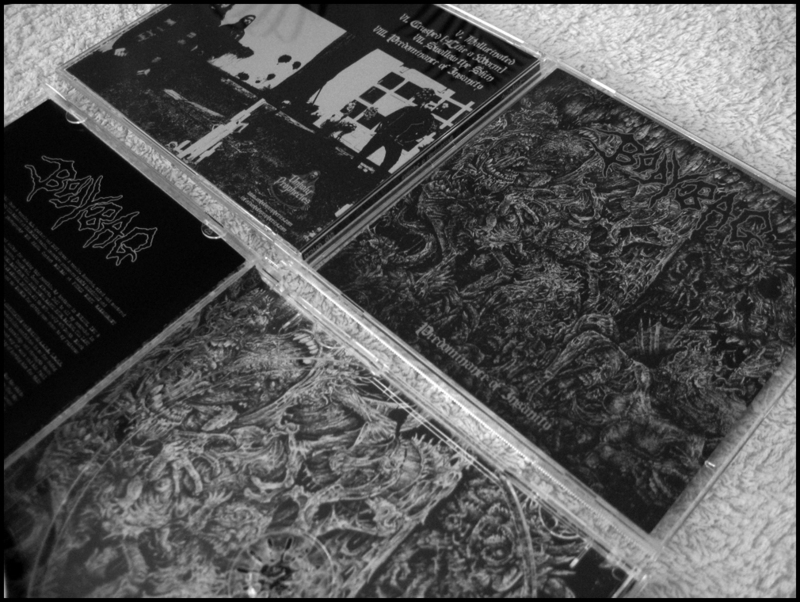 Below you can find some pictures of the final CD edition. Corey – Bass & Vocals. Dopi – Drums & Vocals. 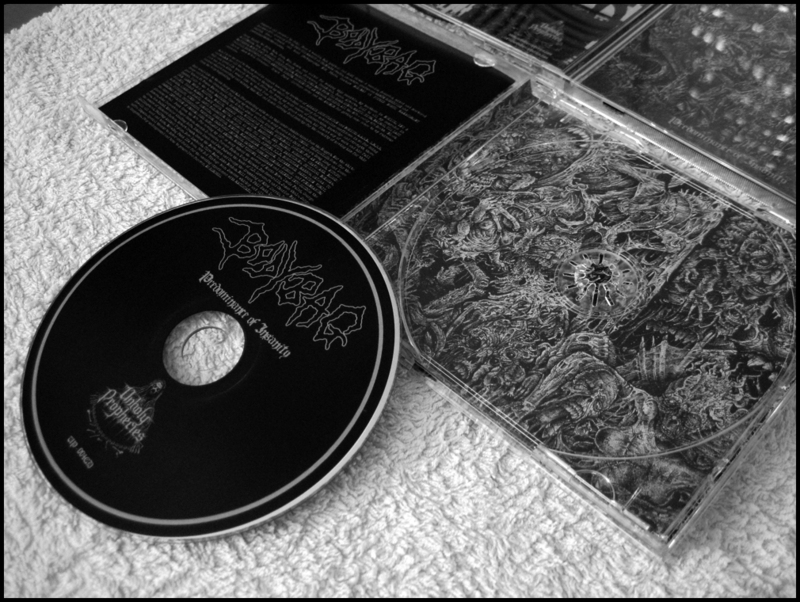 Here you can see the killer artwork for “Predominance Of Insanity” done by the mighty Nor Prego.